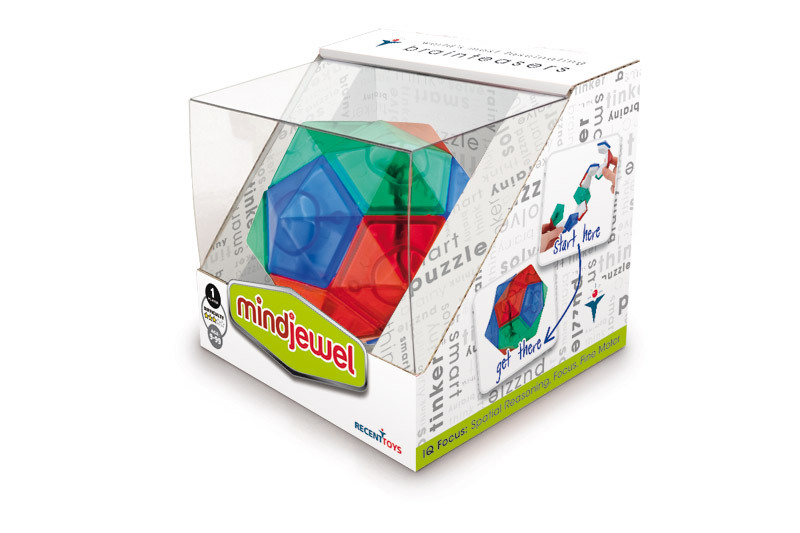 Mindjewel – Recent Toys Int. This jewel holds a secret. It’s easy to pull it apart but challenging to rebuild. First find the loose end ‘gemstone’ and peel the jewel completely open. twist and turn the gemstones on the necklace string to recreate the original jewel in its full, spherical shape. Keep building the jewel up by wrapping the gemstone string around until you have the complete jewel. Stretch the 12 connected gems into a straight line. Some gems can rotate to connect from multiple sides. Solve by connecting all 12 gems to create a ball.